Which is the best 360 camera for virtual tours? 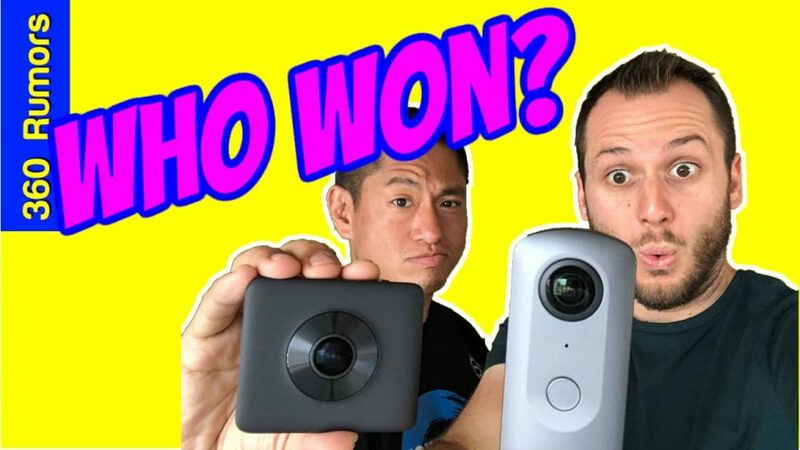 Is it the Ricoh Theta V (reviewed here) or the Xiaomi Mi Sphere (reviewed here; resource page here)? Ben and I put these two popular virtual tour cameras to the test in a head-to-head comparison! For my recommendation for the best virtual tour camera, see this post. Also check out my comparison between the Xiaomi Mi Sphere, Ricoh Theta V, GoPro Fusion and several DSLR 360 photos here. For our editing, Ben used Snapseed and I used Google Photos. Snapseed is a very powerful and intuitive image editor. However, if you edit aggressively enough (particularly with tonal contrast aka clarity), it can create a seam between the left edge and right edge of the photo. Moreover, Snapseed removes the 360 metadata. Seams can appear in Snapseed (see the wall above the window). For those reasons, when editing on my phone, I prefer to edit in Google Photos. It has fewer editing controls but for 360 photo editing, I find it more useful. There is no seam no matter what you do with the sliders and the 360 metadata remains. It’s also nondestructive and you can go back to the original version anytime. The tricky part is that Google Photos can reduce the resolution of the photo. To avoid that, I edit the local file directly rather than uploading the photo to Google Photos first. 1. Launch Google Photos app. 3. Select the photo. If it was exported from Theta Converter, then it will be in the folder called Pictures. 4. Tap the settings on the bottom of the photo, and edit the sliders as you wish. Tap on Save to finish. For video, Theta V is unquestionably better than Mi Sphere. Definitely more detailed. As for stabilization, in July 2018 they now have similar stabilization. The best place to buy the Ricoh Theta is Amazon because they have a reasonably priced protection plan. Many Theta owners have damaged their lenses when a wind blew their tripod over. For the Mi Sphere, you can either get the Mi Sphere or Madventure 360 (identical to the Mi Sphere) from Amazon, or save with a lower price for the Xiaomi from Gearbest. Why didn’t you use RAW/DNG for the Mi Sphere and process the noise reduction in a RAW developer? It would probably yield better results than the Theta, correct? With the Xiaomi Mi Sphere, can you post in lightroom and them upload to google street view? Hi Bret. Yes you can. You may have to add 360 metadata. For that you can use Exif Fixer.